Any of these Four Fantastic Recipes for Mexican Beans will be a perfect side dish option with your favorite Mexican entrees for Taco Tuesday tomorrow! And whether they’re cooked in the Instant Pot or the slow cooker, homemade beans have never been easier! Click here to PIN Four Fantastic Recipes for Mexican Beans! These Four Fantastic Recipes for Mexican Beans all begin with dried beans and are a nutrient loaded side dish that goes perfectly with your favorite Mexican entree. Whether you choose pinto beans or black beans the end result will be fantastic! Cooked in the Instant Pot these Mexican beans cook in less than an hour; if you choose the slow cooker they can cook while you are away or doing other things. We’re updating this post to include Four Fantastic Recipes for Mexican Beans so you can choose whichever one looks good to you! So, choose your bean, choose your cooking pot, and begin cooking! Instant Pot Mexican Pinto Beans from Valerie’s Kitchen start with pinto beans that cook up tender and delicious in about an hour. First saute the onion, bell pepper, jalapeno and garlic and a little oil in the Instant Pot. Next add the dry beans, a few spices, and some broth. Close the lid and set the time and the Instant Pot does the rest of the work. Perfectly tender and seasoned beans in less than an hour. It doesn’t get much easier than these Pressure Cooker Refried Beans from Mel’s Kitchen Cafe. No pre-soaking of the beans required and when cooked in a pressure cooker or Instant Pot these refried beans are fast, easy, and have amazing flavor. For an added bonus, if you have leftover beans you can freeze them for a meal at another time. 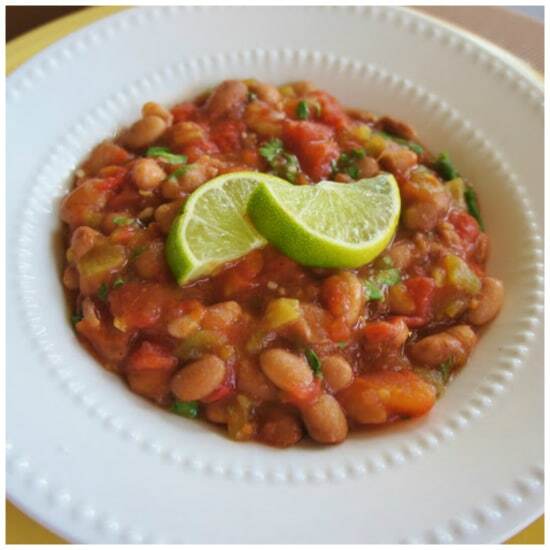 Slow Cooker Vegan Fiesta “Baked” Beans from 365 Days of Slow Cooking could be a side dish or main dish. I love that this starts with dried pinto beans that cook all day without heating up the house, but you can also use canned pinto beans if you’re in a hurry, and this flavorful dish uses mostly pantry ingredients you probably have on hand. Non-vegans can add some cheese on top, which is what Karen did to get her kids to eat it! 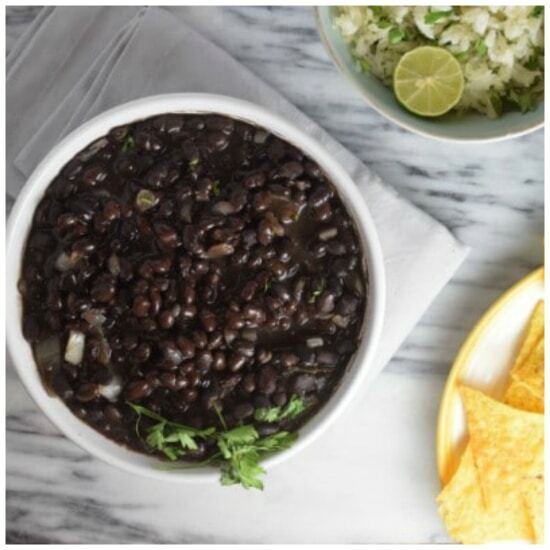 Better Than Restaurant Instant Pot Mexican Black Beans from Wondermom Wannabe would go perfectly with your Mexican entree and are ridiculously easy to make with the help of your Instant Pot. Black beans are found in many Mexican dishes and Wondermom Wannabe says they protect our heart, help prevent cancer, and strengthen our bones! Sounds like a winning combination to me! 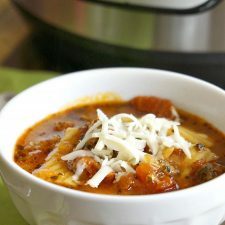 Use the Index Page for Beans and Legumes to see all the slow cooker or pressure cooker bean and legume recipes that have been featured on this site. Thanks for sharing this one! I bet black beans would be really good in this one as well. Karen, I love everything about this recipe, and I would also love it with black beans!